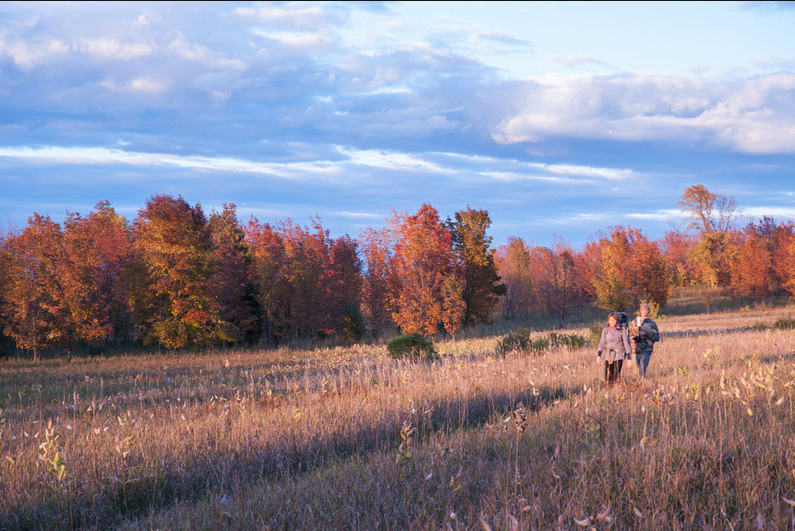 Hugging the shores of Green Bay between Egg Harbor and Sturgeon Bay, the Bay Shore Blufflands Nature Preserve is a grand landscape filled with scenery straight out of a picture postcard. Wind-swept fields, towering pine forests, ephemeral wetlands and springs, cobbled lakeshore and stretches of rural open space along Bay Shore Drive all contribute to the beauty of this special place. 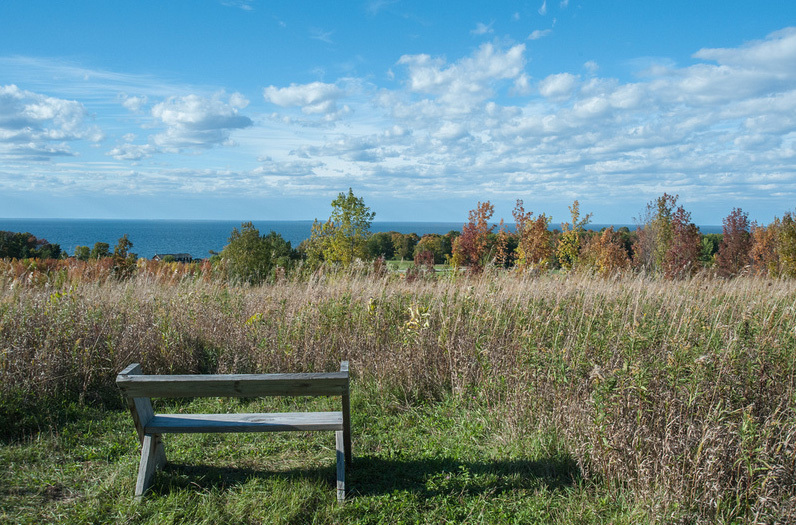 But the “must-see” feature of the preserve is the spectacular view from the Blufflands’ most significant natural feature—the rugged rock bluff of the Niagara Escarpment. The escarpment runs like a spine down the entire length of the preserve and provides not only breathtaking scenery, but also a highly specialized habitat for many plants and animals. Coordinated efforts are now underway to restore the Blufflands’ ecological health. 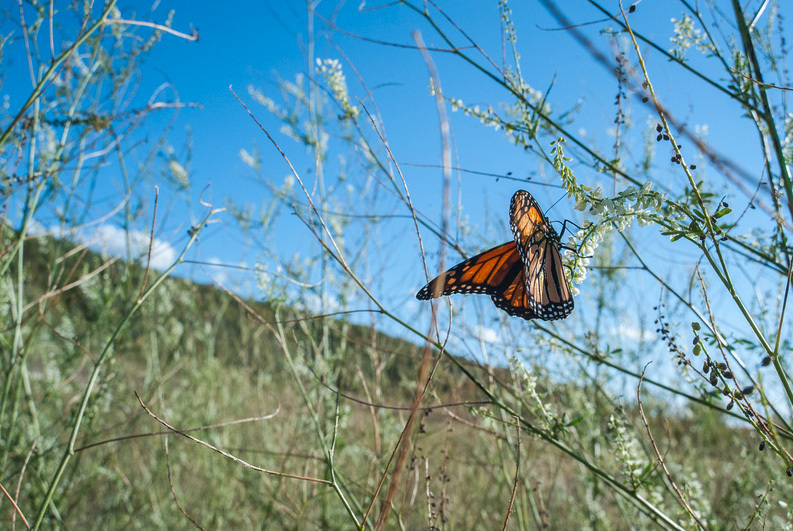 Portions of the preserve that were once cleared for timber, farms, resorts, and even a golf course are being restored to productive wildlife habitat. 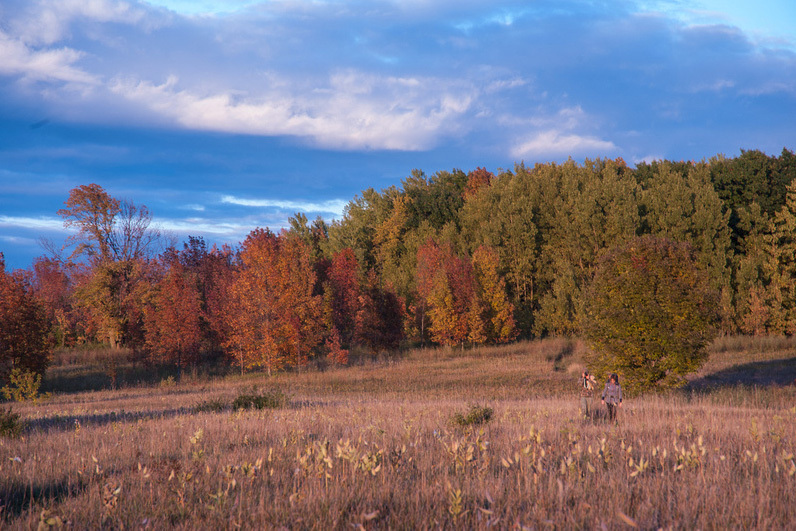 With its outstanding scenery, diverse landscapes, and assortment of plant and animal species, the Bay Shore Blufflands Preserve has emerged as one of the Midwest’s noteworthy nature preserves. From Highway 42 in Carlsville, turn west onto Carlsville Road (County I). To upper trailhead: Travel 1.5 miles to Reynolds Road. Turn left and travel 0.7 miles to the preserve parking area located on the right-hand side of the road at 5519 Reynolds Road. 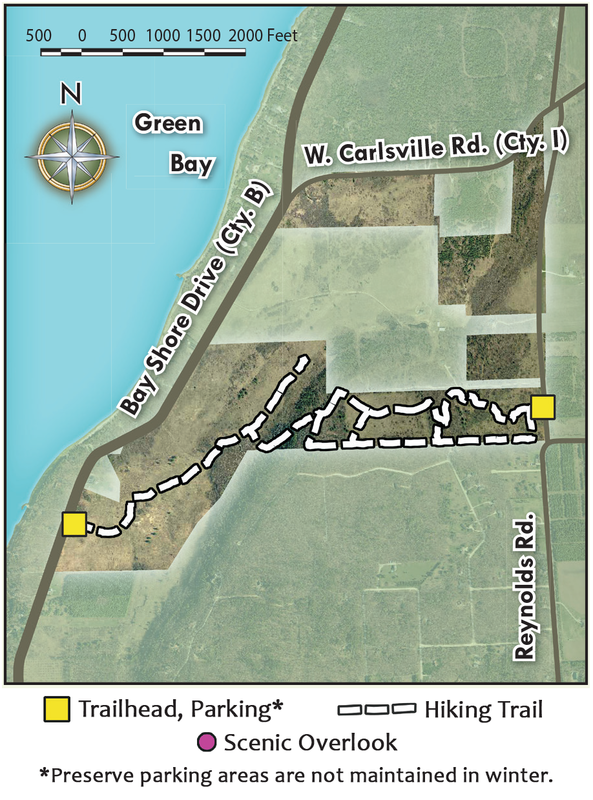 To lower trailhead: Continue west on Carlsville Road to Bay Shore Drive (County B). Turn left and travel 1 mile to the preserve parking area located on the left-hand side of the road at 5454 Bay Shore Drive.